nsung heroes are the foundation of any entity because they provide the spirit and drive that makes up what, in this instance, is the writing industry today—at its best. I say unsung in this case because in researching Nan Talese, I found precious little until I came across her receiving the Maxwell E Perkins Award. When the time came for Nan to accept her Lifetime Achievement award as an editor, she entered the history of American letters. There couldn't be an issue on The Big House without Mrs. Talese. Read on and you will concur. WOW: What was it about the publishing world that attracted you? WOW, eyebrows raised and laughing: Oh you are, not surprisingly, a woman of few and well-chosen words. So, how did your career journey begin? Who encouraged you? NAN: My, then, soon-to-be husband Gay Talese suggested I should speak to an editor he knew at Random House because I was always reading. Gay has never ceased to encourage me. WOW: What a blessing for you, because you didn't choose a career that made it easy for a woman to succeed. What difficulties did you encounter (A) because you were a woman? (B) How different are things today? NAN: If there were women editors they were expected to edit cookbooks and mysteries. Having children was out of the question, so I had to make my own path, expecting to be stopped if I was going in the wrong direction. B) Very different, and in many ways more difficult. Women now have longer commutes to and from their offices-we lived only 10 blocks away from Random House so I went home at lunchtime until our daughters were in school. While there was no maternity leave then I think the pressures of a career are greater now so it is more difficult to balance husband, children, home and publishing. WOW: Now that isn't what I expected to hear. This is definitely important for women desiring to become an editor. Of the various obstacles, what was a major one you faced in your career, and how did you overcome it? NAN: A major obstacle was arriving at a new publishing house and realizing I was in the wrong place. I left an office that was cordial, warm and well-mannered and for two and a half years worked in an atmosphere where people rarely spoke to me and certainly were not interested in the books I wanted to publish. I overcame it, I suppose, by a kind of stubbornness. I was determined not to be defeated and tried to fit in as best I could and contribute to the publishing program. I never gave up my appreciation of superb but less commercial writing and after a few years there were some successes and I was accepted. It seemed a painfully long time but I learned a great deal from the experience, which in the end helped me. WOW: May we all be so stubborn! You have a reputation for being gracious, witty, and having a passion for your chosen profession. Yet, despite the hard beginning, all the work and tough decisions, you haven't lost those praiseworthy qualities. What is it about your mindset that keeps you from being consumed, losing who you are, despite the pressures? NAN: The books and the authors are always the priority-that is after my husband and children. Knowing this is very centering and keeps one out of the trough of personal ambition. WOW: That's great advice, obviously not easy because it takes diligence. However, you prove it is well worth the effort. . . What do you see as the major hurdle facing aspiring authors today? NAN: Finding readers. We live in a disposable Kleenex culture and if a new author does not find an audience immediately his/her next book will have a harder time getting reviews and the new book into bookstores, and eventually a publisher for future work. WOW: The key then would be not to stumble coming out of the gate. Going from author to editor, what do you see as the foremost difficulty confronting a woman wanting to achieve similar successes? NAN: I do not think today presents any greater difficulties for women than for men. WOW: Oooh, not an easy road for anyone! We'll note that, one less excuse to waste time on. . .
A noteworthy triumph, among many, is your 46 years of marriage to Gay Talese. Two strong, resourceful, gifted individuals with focus and drive that sometimes have diametrically opposed opinions; yet, you're making a success of your union. What can you share with women trying to make their way in the literary world, while wanting a fulfilling and satisfying home life? NAN: Taking the questions in reverse order: know the person you marry, why you value and respect him and share his hopes. He will not change. Believe in the talent of the writers you publish and help their books to get in the right hands; but be fiscally responsible trying as best you can to not be carried away by fashionable auctions for "the next bestseller." When you commit to an author be as sure of your decision a year after the publication no matter if the book sold 4,000 copies or 400,000. Gay and I certainly have different opinions on some things but we share a respect for each other's differences and share what is deeply important. WOW: There are some real gems in your statements. And, we thank you for substantiating our reasoning for choosing our Big House theme. You are proof; there is commitment and heart involved—at the top. And, it only makes sense that we as authors must bring the same dedication to the relationship. Last month's theme was about small/independent presses and you know this month's theme. Can you tell us what the difference is between the two? NAN: Yes. A smaller press usually has a more modest overhead to support and so does not need as large printings and margins as the larger corporately owned publishers. WOW: So how can an aspiring author know the wisest choice for her, between the independent presses and the top publishing houses? What criteria should she consider when making her decision? NAN: That is why agents are so important. They know. What guarantees a manuscript will be rejected? NAN: If it is single-spaced, is compared to great works by already established writers, and excessively fussy presentation. WOW: On the other hand, what is it about a submission that grabs your attention? NAN: Good writing, a story that is evident on the first pages. WOW: Since you established Nan A. Talese/Doubleday in 1990, what has been the most gratifying aspect for you? NAN: The fact that the imprint seems to encourage accounts to read and support the authors we publish and reviewers. WOW: We realize that you've worked hard for that to be true for your imprint. How would you describe the ideal author? NAN: I couldn't-each author is so different. WOW: Oh, an author couldn't ask for a better answer. Thank you!. . .
One of your intriguing novels, Marie Antoinette, The Journey, by Antonia Fraser (Nan A. Talese/Doubleday, 2001), was made into a film. Many of your books have gone from book to screen. What was the book to film experience like for you? NAN: Marie Antoinette is actually a biography, not a novel. The most satisfying part of a film being made from a book is the renewed audience for the author's work in the release of a paperback tie-in edition. But the film is essentially a new form based on a script of 125-150 pages. The book engages the imagination of the reader-the directors and actors present their interpretation which might be quite different and good in its own right. But it does not substitute for the book. WOW: Everyone is saying "but, of course!" This will help when dealing with the frustration of the 'book versus film' subject. You've said that writing is a business. How should an author understand that statement? An author once told me that she finally realized that writing novels is a privilege, not a way to pay the children's tuition. That is true, difficult as it is to accept until you have established a solid readership. Writers of history and other nonfiction categories are first read because of the public's interest in their subjects and only later does the author's name become the attraction. WOW: As authors, we'd do well to make this mindset our own. . .
We want more. What are some required traits of a successful woman in the publishing world? NAN: Dedication to what she believes in. WOW: A simple concept is easier to own. And is clearly why you were chosen to receive the first Maxwell E Perkins Award, named for a most remarkable American editor. Obviously, a joyous occasion for you and all who value you and your work. Among the cheering crowd was Pat Conroy, who spoke so eloquently from his heart. He helped others understand your heart and drive, why you have so many fine accomplishments and how highly esteemed you are. We're in an industry known for restructuring forests into rejection letters and WOW! would like to help counteract a wrong conception. Some feel there is a lack of heart in the publishing world. What is your take on that? NAN: That "reputation" comes more from individuals thinking they are writers when they are not-the proverbial taxi-driver with a novel to write. Writing is a craft-a demanding profession and a writer should be a reader with a love and gift of language, an understanding of story, one who has something to say of some significance or entertainment value-and an ability to stay alone for hour upon hour, day upon day, week after week, and year after year. WOW! 's closing comments: It is sad when a writer has to say, "I don't have the words." This is where WOW! tries to say thank you for all you have clarified for us. Your pattern for a successful career and life is invaluable to those desiring to find their place in this remarkable industry. Perhaps you could imagine how much you would have appreciated knowing all you have taught us—when you began your career journey—that's how we feel. You have given what we were looking for. What could counteract the thought of a 'heartless industry' more that your answer to the question: "How would you describe the ideal author?" When you responded, "I couldn't—each author is so different." What you have shared here is why I must admit this interview is, at best, only an introduction to the editor, the person, and the woman that you are today. Dear readers, don't cheat yourself, click on Maxwell E Perkins Award. 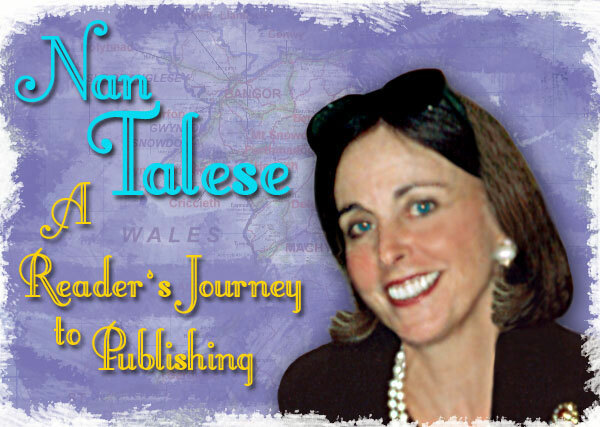 Nan A. Talese is a Senior Vice President of Doubleday and the Publisher and Editorial Director of Nan A. Talese/Doubleday, a trade book publishing imprint known for its literary excellence. She began her publishing career at Random House, where she published Papa Hemingway by A.E. Hotchner and THE SAVAGE GOD, by A. Alvarez, a book that changed America 's understanding of suicide. After joining Simon & Schuster she began her long editorial relationship with Margaret Atwood and Ian McEwan, Barry Unsworth and Thomas Keneally, all winners of the prestigious Booker Prize. It was at Houghton Mifflin, which she joined in 1981 as Executive Editor, eventually becoming Editor-in-Chief and Publisher, that she began her association with Pat Conroy as editor of his novel THE PRINCE OF TIDES. She joined Doubleday as a Senior Vice President in 1988, and two years later introduced her author-oriented imprint dedicated to the publication of a select list of quality fiction and nonfiction. The critically acclaimed and bestselling titles she has published since the imprint's inception include THERE ARE NO CHILDREN HERE by Alex Kotlowitz; BEACH MUSIC and MY LOSING SEASON by Pat Conroy; ALIAS GRACE, THE BLIND ASSASSIN and ORYX AND CRAKE by Margaret Atwood; AMSTERDAM, ATONEMENT and SATURDAY by Ian McEwan; HOW THE IRISH SAVED CIVILIZATION, THE GIFTS OF THE JEWS, DESIRE OF THE EVERLASTING HILLS and SAILING THE WINE DARK SEA by Thomas Cahill; SONGS OF THE KINGS by Barry Unsworth; MARIE ANTOINETTE by Antonia Fraser; SHAKESPEARE: THE BIOGRAPHY by Peter Ackroyd as well as the works of George Plimpton, Mark Richard, Robert MacNeil, Peter Ackroyd, Kevin Canty, Jennifer Egan and Adam Haslett among others. 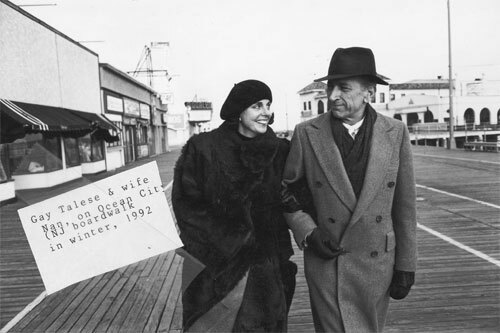 Mrs. Talese is married to author Gay Talese, whose last book, A WRITER'S LIFE, was published in April. They have two daughters: Pamela, a painter, and Catherine, a photographer.